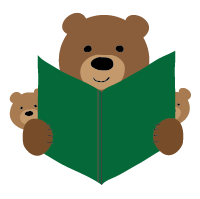 Bookworm Bear: mama bear to a family of enthusiastic readers, seeker of good books for children, one who loves to wander in libraries and bookstores, one who nurtures - and celebrates - imagination and creativity. Also: a blog devoted to reviews of children's books, sharing a love for reading, and celebrating childhood. Hi there! I just found your blog on The Children’s Bookshelf and I’m enjoying reading your recommendations. Keep up the good work! Thanks so much! And, thanks for stopping by through The Children’s Bookshelf. I am looking for bloggers for a book tour in September, beginning on the 14th. The book is Diane Robinson’s second book in the Sir Princess Petra series. Book two is called Princess Petra’s Talent. The King and Queen do not want their daughter to be a knight so they make a new royal rule that sends her to talent school. It is a fun and humorous book on girl power. If interested, please let me know. My email is above. Please use the subject line Petra’s Tour.